Amtrak has proposed new fencing and locked gates at crossings along the Empire Corridor South between Rhinecliff and Stuyvesant. Eventually, it plans to construct similar barriers between Rensselaer and Poughkeepsie. Amtrak’s project would eliminate public access to the Hudson River at places where people have launched boats, fished, and hunted for generations. Residents of Castleton-on-Hudson have already lost access to their public waterfront. 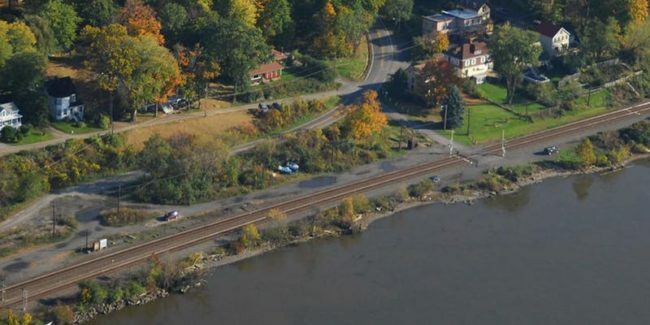 At this info session (followed by a visit to the proposed site of a 700-foot-long fence) you’ll learn how you can help promote a more balanced approach to railroad safety and pedestrian access and hear about alternatives to crossing busy passenger rail lines used in other parts of the U.S.
Co-hosted by Scenic Hudson, the Town of Rhinebeck, and the Town of Germantown. Registration is free but requested. Register here.